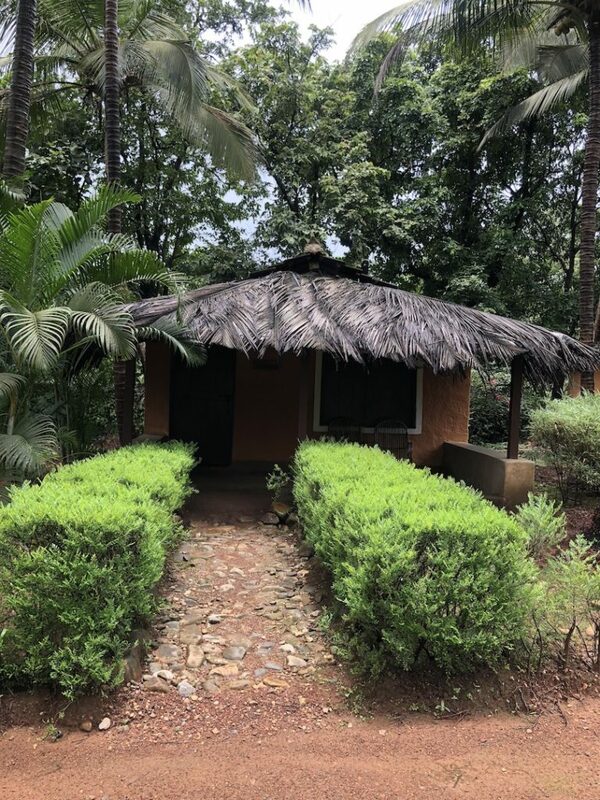 Nature’s Nest Goa- A Staycation Close To Nature! 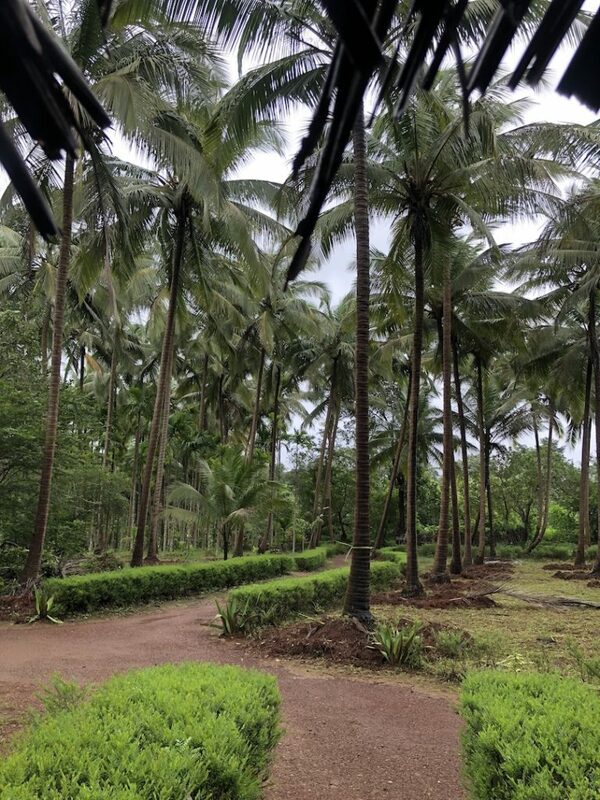 Well on some of the days, we really wanna get away from the hustle bustle of daily life and that is one of the prime reasons I left Delhi and chose to live in Goa. 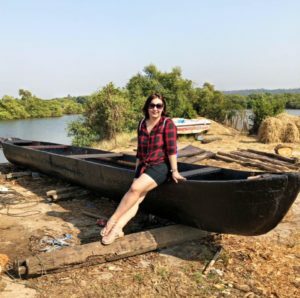 Goa in itself is so peaceful and surrounded by nature that I find it refreshing me all the time, but even then, sometimes we want to go a little far away from the daily life and spend a couple of days relaxing. What better than staying close to nature for a perfect getaway and relaxation. I had read about a lot of places that offer accommodation in the lap of nature, and Nature’s Nest true to its name was the one name that cropped in my head. I discussed it with my friend, and she too readily agreed to the trip. We chose the Independence Day Eve as a perfect day for our mid-week adventure. 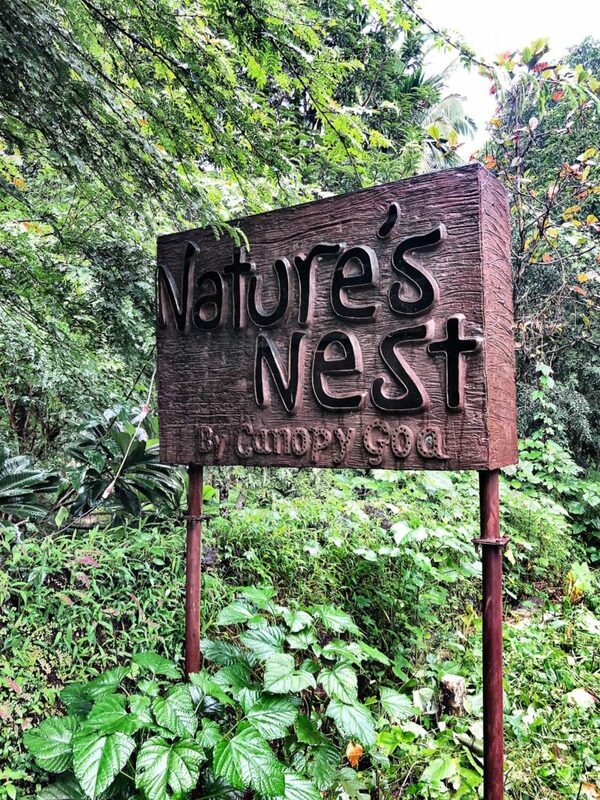 Nature’s Nest is located in Surla area of Goa, which was approximately 60kms away from where we stay. 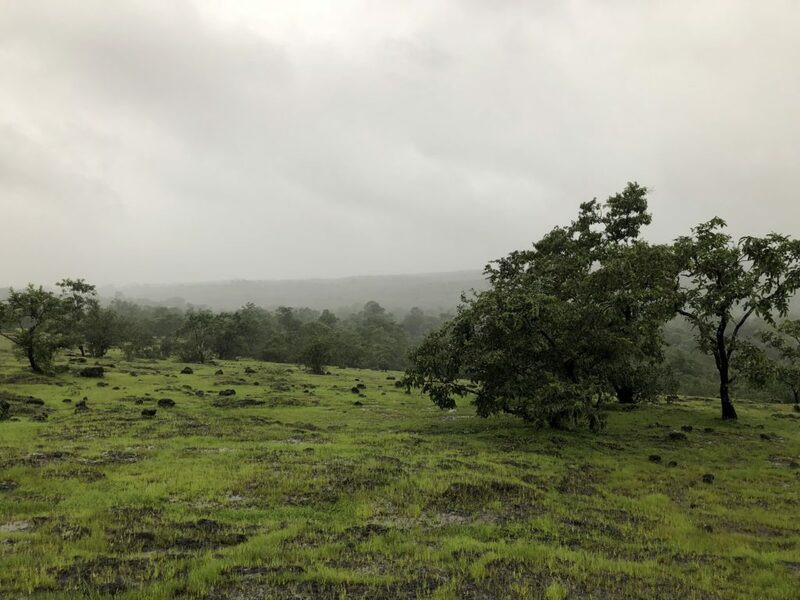 Its truly surrounded by nature, its close to the Mahavir Wild Life Sanctuary and very popular with bird watchers and trekking lovers, as it offers perfect spots for both. We set out around 10 AM from our place, as it would take us 1.5 hours drive to Nature’s Nest and the check in time was at 12 Noon. The weather was totally on our side and once you cross Ponda, the drive becomes even more beautiful. The narrow roads, with greenery in abundance on both sides, makes for a fantastic view. We added some music in the background, grabbed a couple of drinks and snacks for the way and we were all set. We reached Nature’s Nest quite on time, at 12:15 we were at the reception of the resort. The ambiance has a very raw appeal to it and is surrounded by greenery. 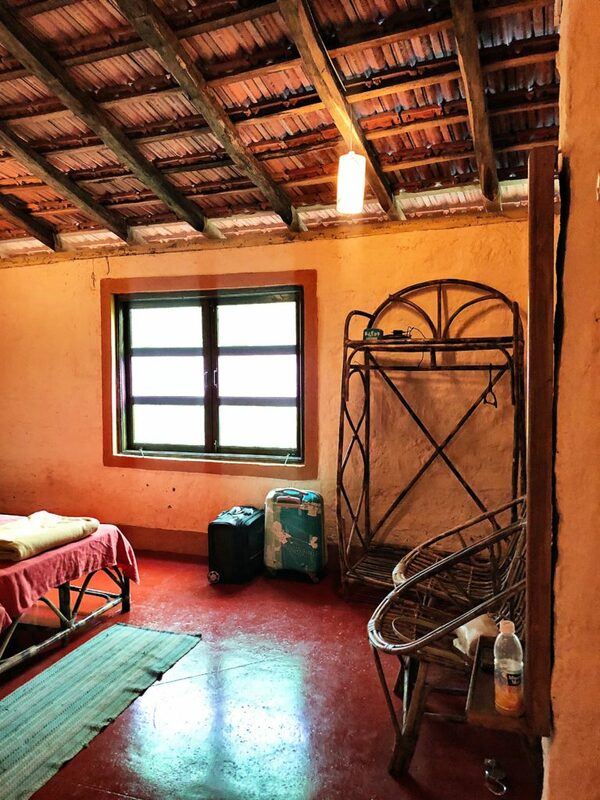 It’s like practically living in mud and bamboo cottages in a middle of a jungle and in one look, I loved it. 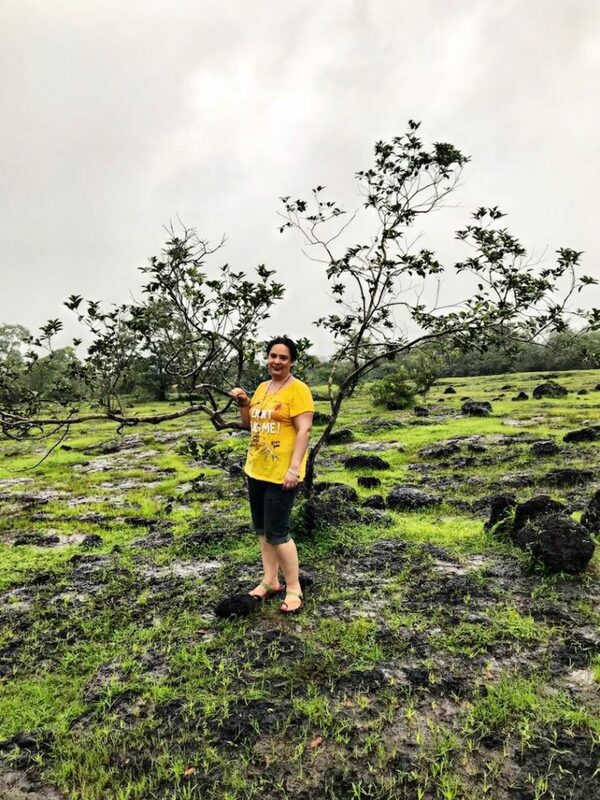 The greenery seemed even more alive and fresh after the rains and as per me, monsoons are definitely one of the best times to visit this place, not that you cant visit during other months, but trust me monsoons are the best. After a warm welcome at the reception along with a refreshing Kokum drink, we were directed towards our cottage. The resort houses 10 cottages and they look so lovely. 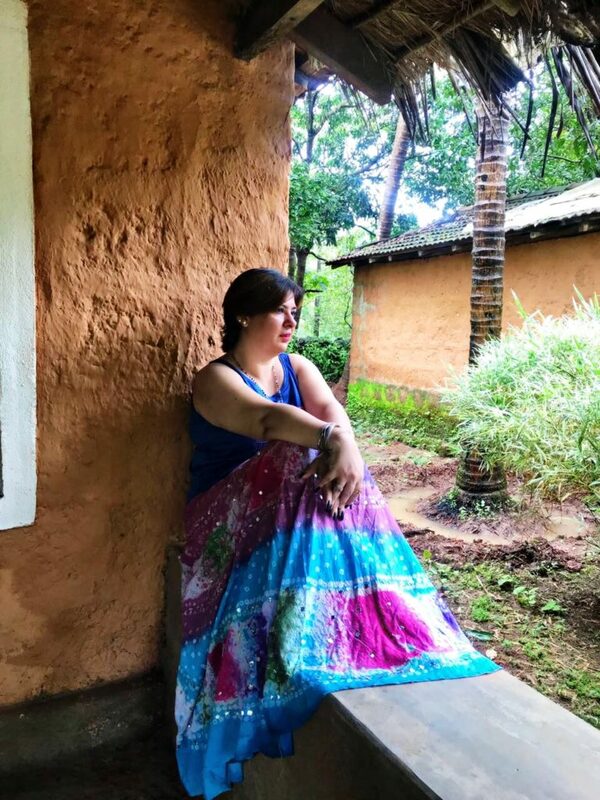 Our cottage was named Kunjan, and once again the raw appeal of the cottage, the mud walls, the thatched roof, all reminded me of the times I have spent in the villages and it was nostalgic. 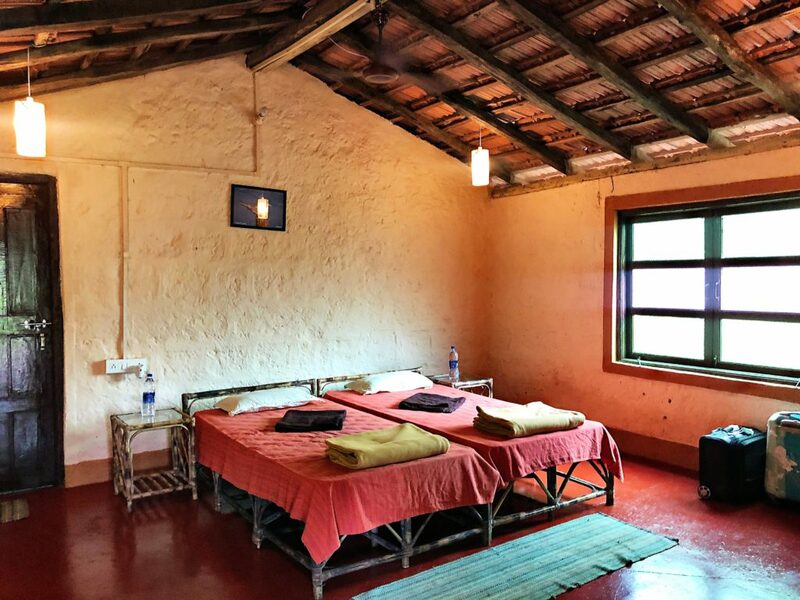 The room was spacious and comfortable, twin beds, with side tables, a dressing table and an open cane shelf for keeping clothes etc. The bathroom too was very spacious and huge, it almost felt like another room. 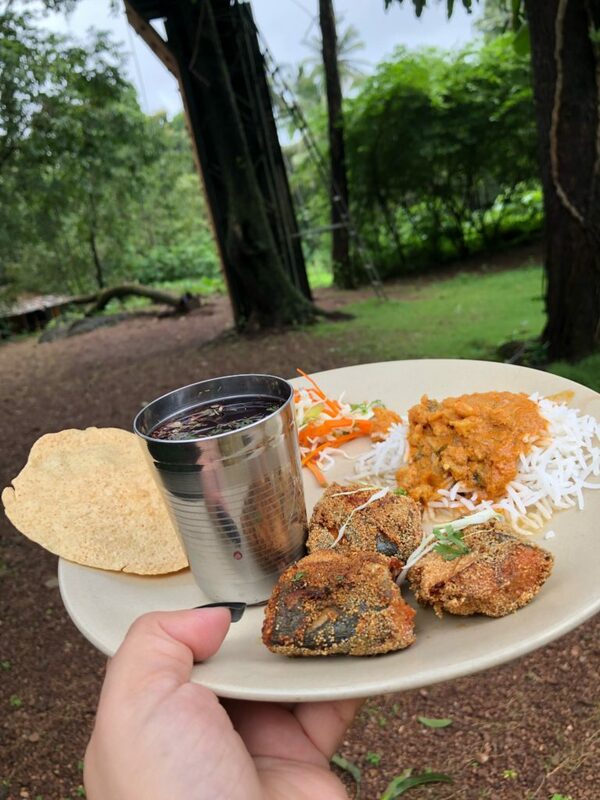 After settling in the room and chilling for sometime imbibing the nature, it was almost time for lunch. 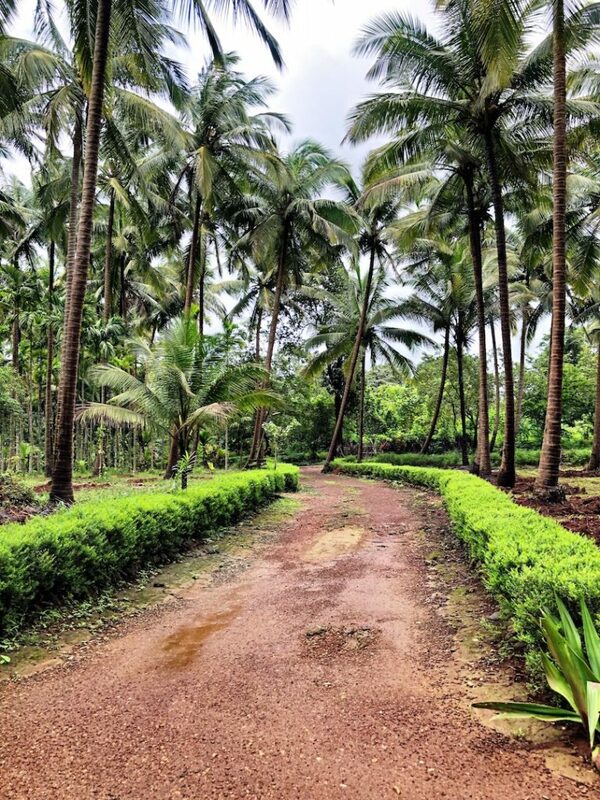 At 1:30, we headed towards the restaurant area and a traditional Goan lunch was waiting for us. 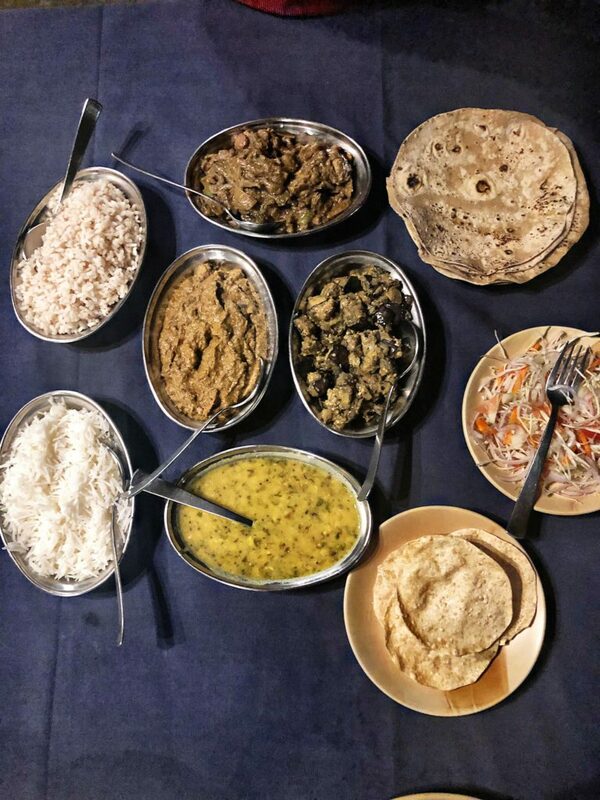 Prawn Curry, Chicken Xacuti, Rawa Fish Fry, Veg Gravy, Bhaji, Dal, Solkadi, Salad, Papad, Bhakri and Rice, the menu was quite a big one and was perfect for both vegetarians as well as non-vegetarians. It was freshly prepared and had the authentic taste of Goan flavors. Loved the kheer for sweet-dish. Well, this one was not for me, as with my fingernails I just could not get the grip and climb even one step. My friend did try a bit, but even she couldn’t do much. So we kind of skipped this one and moved to the next activity. Now both of these were really fun, I had never tried a zip line before and although it wasn’t a very high or long one, I really enjoyed it. 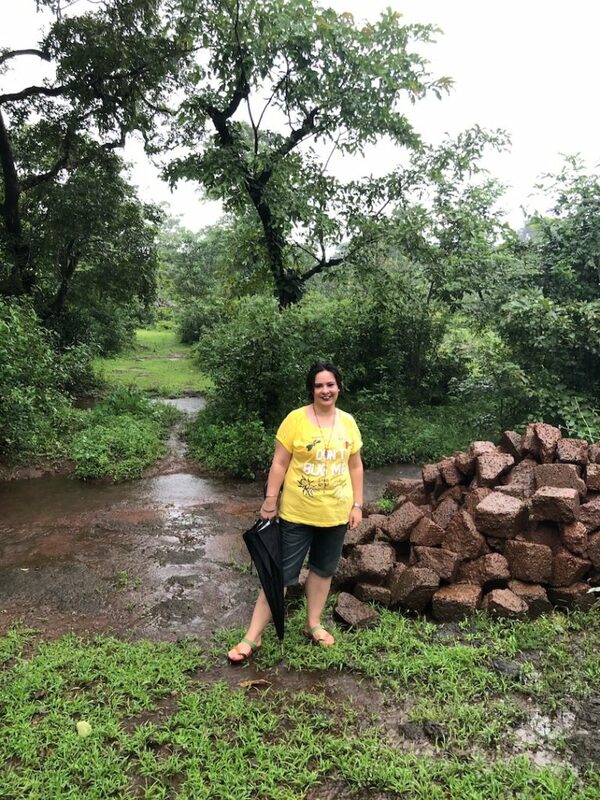 Zipping between the greens and with raindrops drenching me, it was something I really loved. 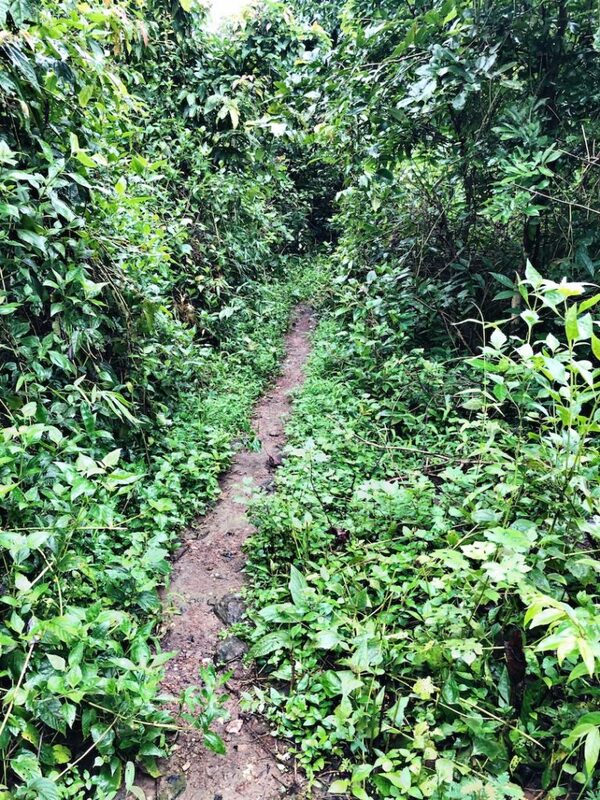 Well, this was an evening trail amidst nature, we trekked to a nearby plateau, the slight uphill climb was beautiful. The sounds of a peacock and a flowing stream were almost filling the entire place. View from the top point was breathtakingly beautiful. 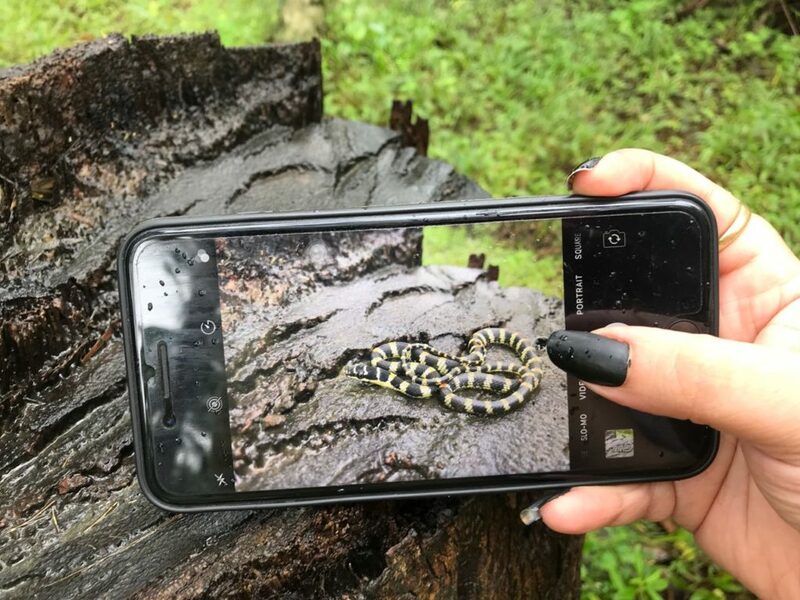 I could not manage a lot of clear pictures because it rained heavily while we went there and also some of the pics came blurred because of this reason. Nevertheless, what I captured in my mind and soul will remain with me for a long time. We also saw an insectivorous plant and a pair of Hornbills, they looked amazing as they flew from one tree to the other. Their flight looked magically beautiful. This point is otherwise very famous for sunset, but as we were in monsoons, there was no sunset to watch, but a lot of refreshing greenery, the water stream, plants, birds, frogs, and yes the peacock. I felt so so good after this trek. 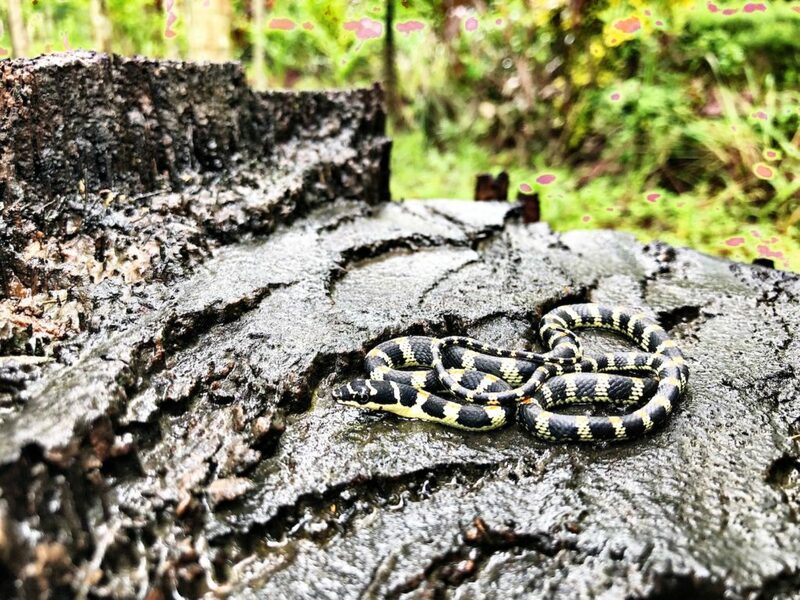 Also met an Ornate Flying Snake Baby, never had a chance to see a snake so closely, it looked so so beautiful. And strangely enough, I wasn’t scared. By the time we returned from our trek, it was almost 6:30, we came back to our rooms to freshen up a bit and then at 7 PM headed for a short night trail. 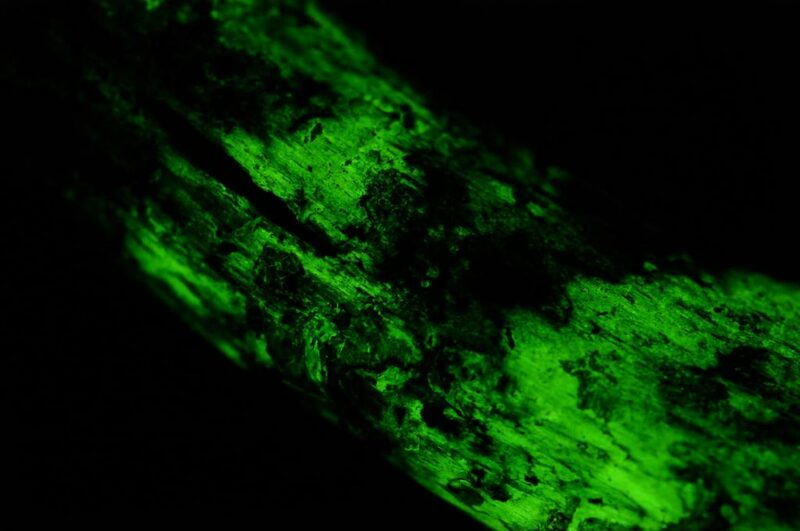 This night trail was specifically to show us a luminous kind of mushroom that glows in the dark, so complete darkness was important. After a walking for a short while, we reached the spot, though we were using our flashlights to walk through the dense forest, at this point, our guide, Mr. Ramesh, one of the partners at Nature’s Nest instructed us to switch off all lights and close our eyes for a few seconds. After those few seconds, when we opened our eyes we were astonished. A full tree branch, from the ground to the top was glowing, it felt as if someone had put a tube light there. We even held one of the branches in our hand, with the flashlight on, it felt like any other branch, with nothing special to notice, but the magic happened when it turned dark. After this night trail, we were a bit tired with the day’s activities and chose to have an early dinner. A spread of simple dishes including Kadhai Chicken, Mushroom Curry, Dal, Baingan Bhaji, Rice, Roti, and Seviyan was laid out. It felt like a home cooked comfort food, nothing fancy, but simple yet tasty. Though we had all intentions to retire to bed early as we had to go for a morning trek too, but we ended up chatting for long hours sitting and relaxing in the restaurant itself and then with some background light music supported by the music of falling raindrops on the roof, the sounds of the cricket and watching the fireflies glow near the window, we drifted into to a good night’s sleep. 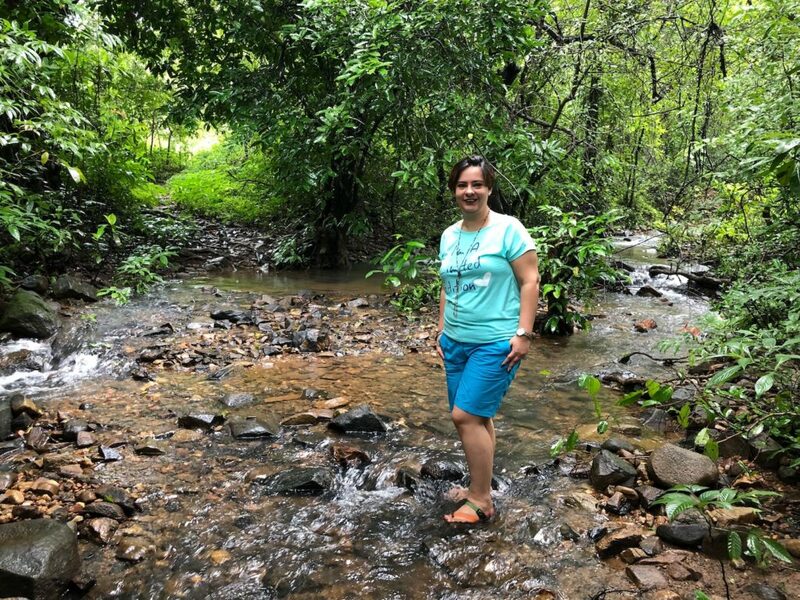 We got up early the next morning, as, after a quick breakfast of omelet, poha, pav and black coffee, we had to leave for the Talde Waterfall Trek. We left the resort at around 8:30 AM. 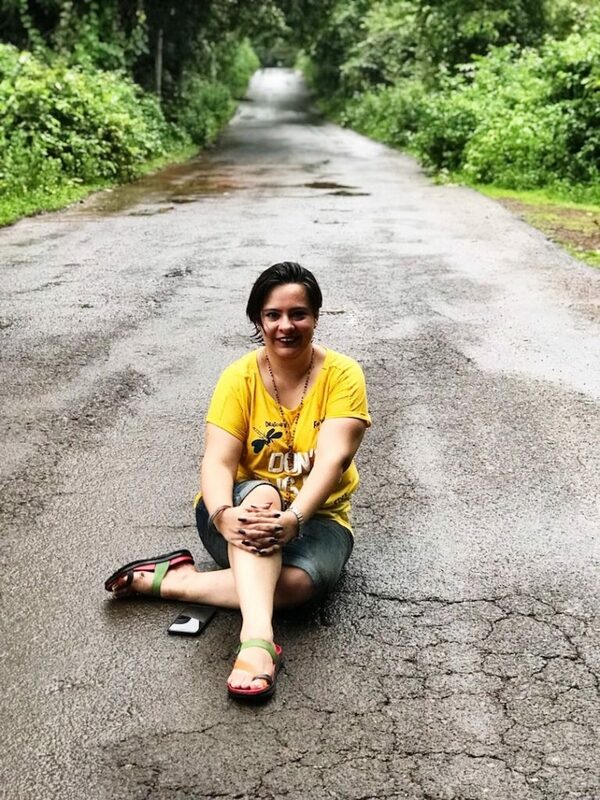 The trek point is about 10 minutes drive from the resort and its a 30 minutes trek into thick forest with very narrow lanes. 20 minutes of the trek is more of a straight walk, but like I said the walk is on a very very narrow lane which can barely fit one person, and the last 10 minutes of the trek are tougher with more of an uphill climb on slippery stones and rocks, but once you reach the waterfall, its all simply worth it. The view is mesmerizing, the noise of the waterfall filled me with so much calmness that I words will fall short to explain my feelings. It’s definitely worth a visit. For me, it was my first experience of almost dipping in the water and feel a waterfall so closely. Its one of those experiences that I will never forget. 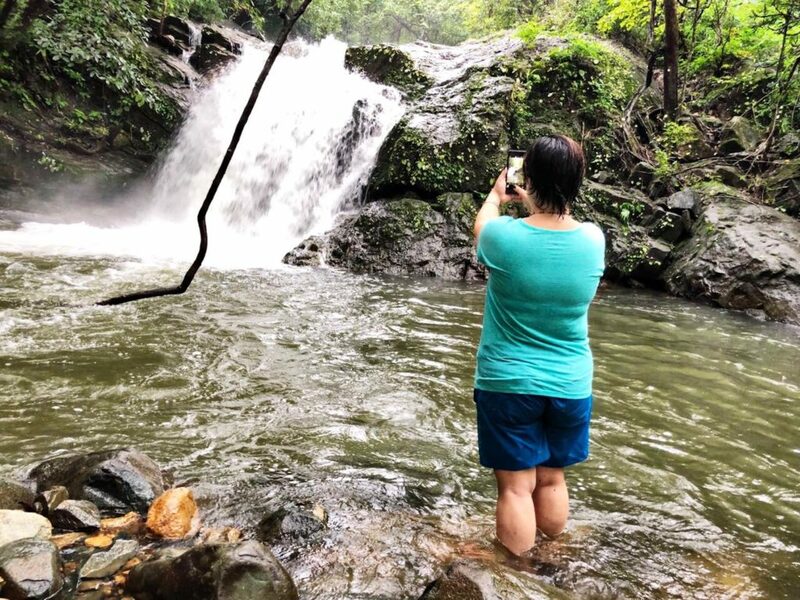 We spent a good half an hour enjoying the waterfall and after capturing memories in my camera, we started on our way back. Once back to the resort, we did our check out formalities and came back home completely refreshed and rejuvenated. This entire experience filled me with so much of positive energy that as soon as I was back home, I was raring to go for another adventure. I did not feel even a bit tired. 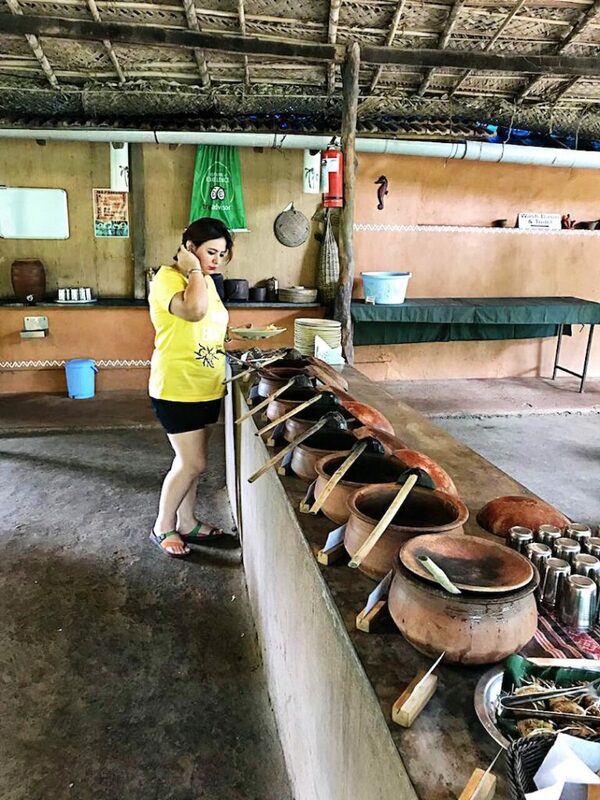 This staycation was a much-needed break for me and although I was not very sure about anything, as everything was new for me, all I can say is I am glad I took this decision and chose Nature’s Nest. As per season, Nature’s Nest offers a lot of activities like Bird Watching, Jungle Safaris, Night Trails, Trekking, Waterfall Treks etc. Make sure you check with them of the available options and plan your travel accordingly. Posted in TravelTagged Adventure Activities, Best Travel Blog, Bird Watching, Eco Resort, Jungle Resort, Jungle Safaris, Nature Trails, Nature's Nest, Nature's Nest Goa, Night Trails, Places to Stay, Places to Stay in Goa, Resort Review, Staycation, Travel, Travel Blog, Travel Blogger, Travel Post, Trekking, Vacation, Waterfall Trek24 Comments on Nature’s Nest Goa- A Staycation Close To Nature!